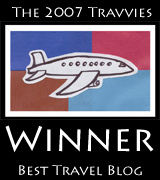 Intelligent Travel: Let's Play Ball! Baseball season is almost here (which means it's getting warmer, too! 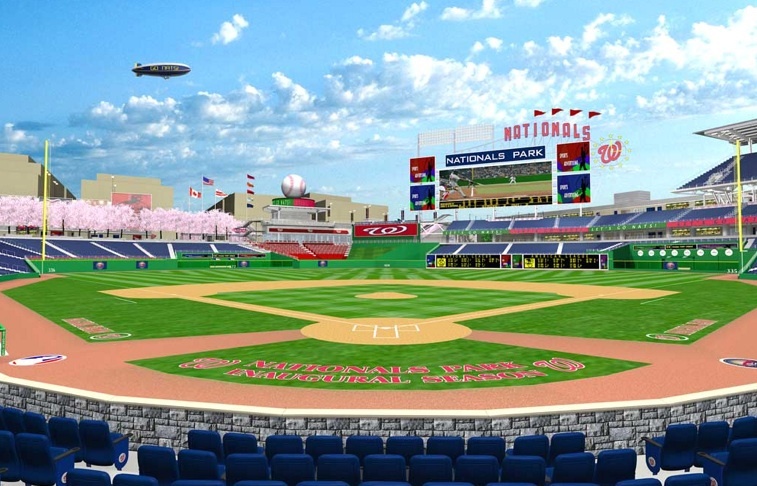 ), and our hometown Washington Nationals just got a brand new ballpark. But this year, in addition to serving traditional hotdogs and Miller Lite, Nationals Park is adding a bit of local flavor to its menu. The 41,222-seat stadium, which officially opens March 30, will feature 11 local independent businesses, including favorites Ben's Chili Bowl, Noah's Pretzels (which will serve its pretzels in the shape of a "W"), Boardwalk Fries, and Dinger ice-cream sandwiches from Gifford's Ice Cream & Candy. Fans might even be able to ditch big-name beer for local brew from Capitol City Brewing Co. (negotiations have not yet been settled). "Our offerings are going to be hard to rival," Nationals spokeswoman Chartese Burnett told the Washington Post. "I'm a vegetarian, and to be able to get sushi and veggie burgers at a ballpark? Come on. We'll have something for everyone." The park's catering management firm, Centerplate, will continue to serve hotdogs (Gwaltney in concession stands and Hebrew National in the suites), pizza, and sushi, but, as Centerplace spokeswoman Gail Doar explains to the Washington Post, "when we go into a new venue, we like to have a sense of the local customs and flavors and bring that into the ballpark. . . . We want to offer people more than standard fare." Centerplate also services the San Francisco Giants' AT&T Park, and serves San Fran-based Ghirardelli ice cream and garlic-infused fare from local favorite The Stinking Rose (we ask that you please remember to bring extra Tic Tacs when visiting the Giants). We hope that supporting local restaurants will continue to be a trend among ballparks and other sports facilities. One more thing we have to mention about our home team: Not only will Nationals Park offer a free bike valet for its cycling fans, but it will also be the first stadium to be accredited as a Leadership in Energy and Environmental Design (LEED) Green Building Rating System™. The ballpark will have drought-resistant landscaping and a water filtration system so that it will not pollute the nearby Anacostia River. AT&T Park, likewise, installed nearly 600 solar panels on its stadium to power the scoreboard. Nice try, Giants, but we're still one up on you. That's great for local business! I also am a big fan of the Austin airport for doing the same thing.